Mix brine in large (approximately 5 gallon) plastic or crock container, soak turkey, completely submerged, in brine for 24 hours, in a cool place. After soaking, rinse off brine and dry with paper towels. Oil bird lightly with salad oil (not butter). Anchor neck skin with skewer. No need to tie legs if skin is unbroken. Pull leg tendons before baking. Place turkey on rack, breast side down. Bake in this position entire time. Do not cover bird with foil or anything. 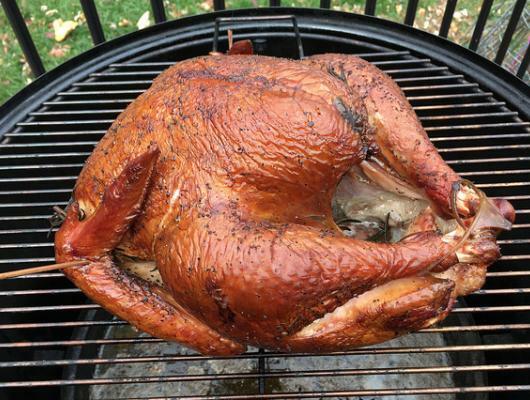 Bake at 350 degrees for 1 hour, then 250 degrees thereafter (12 to 14 pound bird takes 12 hours). 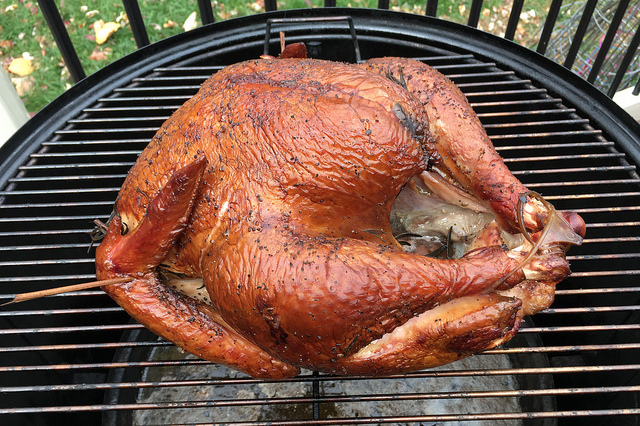 Smaller bird at least 1 hour per pound. Alternate cooking method: Can be put in a browning bag, add 2 to 3 tablespoons flour and 2 cups water to seal bag, bake at 350 degrees for 1 hour and at 250 degrees approximately 3 more hours. (Check directions on browning bag box). Look for Morton's Tender Quick in your supermarket's spice section near salt or order on Amazon here.